This aircraft is built by the French manufacturers, Dassault, whose first jet aircraft – the Falcon 20 – made its maiden flight in the early 1960s. 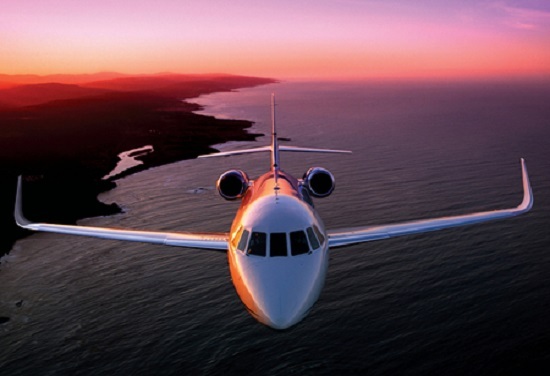 Over the ensuing decades, work was undertaken to improve the range and performance of these aircraft, with the Falcon 2000 entering service in 1994, some thirty years later. 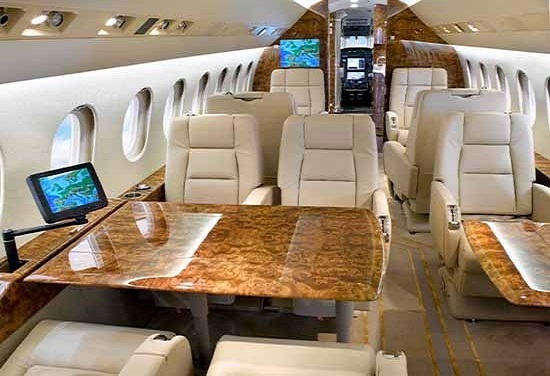 Somewhat unusually for Dassault, the 2000 family features two engines rather than three, yet retains a transcontinental range of approximately 3,250nm and a cruise speed of 470kts. Adaptations to the base 2000 model include upgraded engines from Pratt and Whitney (EX), enhanced avionics and capability for steeper glide path approaches (EX EASy), and steep blended winglets which increase the range by 800nm (LX).